Planning on remodeling or addition to your kitchen or bath? Ty’s can handle the plumbing portion of that project. Need a plumber to just inspect your current system? Need a plumber to do the plumbing portion of your remodel, renovation or addition? Ty’s Plumbing can do it! Ty and his crew can handle all of your plumbing when it comes to your kitchen and bath. Most kitchen and bath plumbing systems don’t get the attention of a homeowner until there’s a problem with kitchen faucets or they need a water closet repair. That’s too bad, because most plumbing problems can be detected early and fixed faster with regular inspections in the Kitchen and Bath. Ty is a licensed Master plumber, and is an expert at leak detection in your home plumbing system as well as the gas lines. He looks for signs of things that could become problems. 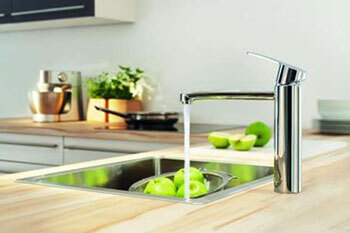 Contact Ty’s Plumbing for any of your Kitchen and Bath plumbing needs!